Due to the digital transformation it is increasingly important for companies to recruit employees with a digital affinity. First and foremost, generations Y and Z are increasingly pouring into the labour market. Strong employer branding is essential if you want to be in the pool position as an employer. Digital communication plays a very important role here. Gen Y and Z would like to work project-related and independently, act and communicate at eye level with both team leaders and bosses. A life without social media, mobile devices and “always on” mentality is hardly imaginable for them. This presents companies with an all-important challenge: What is the best way to address potential employees with a digital affinity? Employer branding is an important instrument for this, which needs to be combined with new approaches. HR departments use well-known marketing and branding concepts to create an attractive employer brand. It is important that one-off events and happenings are not enough, a long-term strategy forms the basis of employer branding. The basis of the strategy to be developed is initially an analysis. Why should an applicant choose you instead of another employer? Why should qualified employees commit themselves to you on a long-term basis? What values do you convey? On the basis of this analysis and the resulting results, the next step is to formulate the objectives for your employer branding activities. The main focus here is on the target groups and how they should perceive the employer. The way of addressing the different target groups and the channels through which they want to reach them should also be defined here. After all, the internal and external employer branding should match. This means that what you communicate externally through your employer branding should also be lived internally. Only in this way can your own employees become brand ambassadors in a positive sense. Transparent and credible communication is the linchpin in addressing new, digitally affine employees. Classic methods of recruiting are no longer sufficient. A rethink is necessary to redefine the relationship between applicants and companies. In times of social media, an application is no longer just a process in which an acceptance or rejection defines a clear endpoint. The job advertisement creates a dialogue between the company and potential employees. Ideally, this dialogue leads to a long-lasting working relationship. Social and communicative competences and activities on the part of the employer are therefore required for an exchange at eye level. Image and video communication in particular are enjoying growing popularity. Employers should therefore use these to address new employees and to report on your company and convince them of this. Videos give potential applicants an insight into your company, your roles and your current employees. You can use videos to present the challenges your company is facing and you can encourage potential new employees help to solve them. Transparency, openness and authenticity are critical to whether a jobseeker is interested in a company or not. One of the things that depends on this is whether they respond to a job advertisement with a “Like” in the social media. Present your company to the applicants and engage in “active sourcing”. So don’t wait until someone applies for your job, but address interested parties directly. One: Why do you work here? 2. What inspires you about your work? 3. What is special about the company? 4. What challenges do you see? 5. Which colleagues do you wish for? 6. What values do you live here? 7. What would have had to happen for you to resign during the probationary period? These questions are answered by employees from different departments in their video. Make sure that the selected departments are representative for your company. Let younger employees have also their say. Establish videos for your employer branding with your own sprint teams. Sprints are a method of Scrum, an agile management method. Turn your video projects into short sprints. You can achieve fast results and make adjustments on a weekly basis, for example. Through the self-responsibility and self-organization of the project team, you can simultaneously engage in active employer building. This also directly strengthens your internal employer branding. Ideally, you should continue to use video as a medium and invite applicants to apply for vacant positions via video as well. Ask them 3 questions to answer, also via video. You can define the questions differently depending on the position to be filled. The advantage: communication remains on one level. This gives you a direct insight into the candidate’s personality. This means that only those candidates are invited for a personal interview who meet the best requirements for the position due to their skills and personality. In order to remain competitive in the long term, current and future employees are the most important success factor. It is becoming increasingly important to attract and retain employees with a digital affinity. 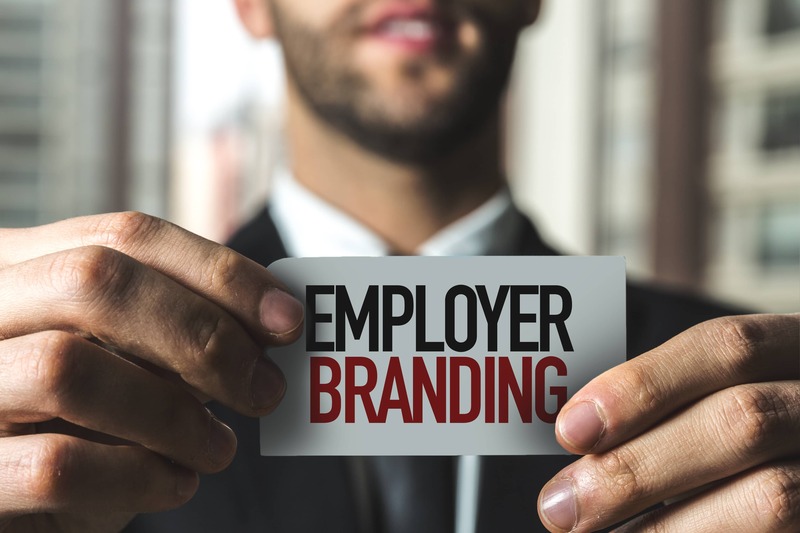 Employer branding is a powerful tool here if used correctly. Define a long-term strategy for this, build up your employer brand and promote it both externally and internally. Your employees should become brand ambassadors. In this way, they can also contribute to ensuring communication at eye level with younger generations and digital natives. Video communication in particular is an ideal instrument for this. Let your employees answer the 7 questions presented on video to present your employer brand and encourage future employees to become part of your company. But don’t let the video communication stop here, offer the candidates themselves the opportunity to introduce themselves via video. In this way, communication remains on one level and you strengthen your employer brand sustainably and efficiently.